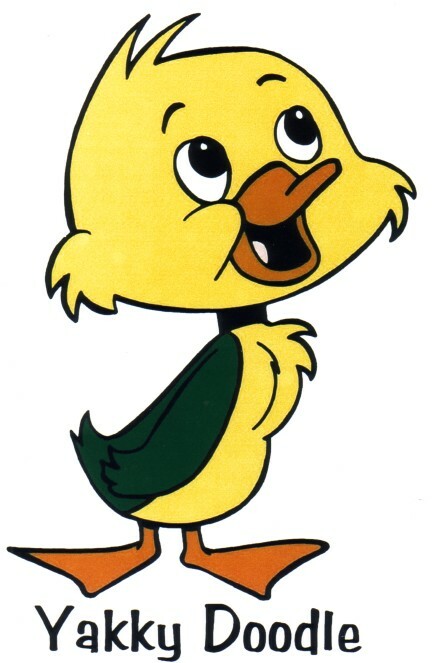 and even a way to bring home your very own little piece of cartoon history. Enjoy! 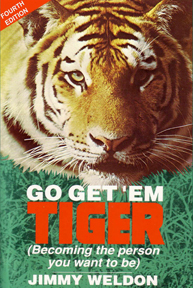 My book ... "GO GET 'EM, TIGER!" ... contains a step-by-step formula for success that anyone can easily follow to achieve their ultimate dream. The opening chapter ..."The Witnessed Murder" ... explains how a little seven year old boy saw his future unfold because of his wonderful mother! In fact, go to the photo page and you'll SEE this beautiful lady.....my mother! You'll understand when you read this book. IMPORTANT MESSAGE - WHEN YOU RECEIVE YOUR BOOK, GO DIRECTLY TO THE LAST PAGE AND FOLLOW THE INSTRUCTIONS TO GET YOUR FREE MP3 AUDIO VERSION. THERE'S NOTHING LIKE HAVING JIMMY ACTUALLY TELL YOU THE STORIES! Let me autograph it as a gift to someone you love with a special message. The world renowned Mormon Tabernacle Choir sings the Battle Hymn of the Republic in the background of this presentation. This recording was used on the USS Kennedy in the Persian Gulf during the fighting with Iraq. Now you can watch Jimmy give this special tribute to our flag as the world renowned Mormon Tabernacle Choir sings the Battle Hymn of the Republic in the background. Here's one that will have you literally "climbing the walls." Our legislators are not telling you the truth when they say, "IT'S JUST ANOTHER TAX CUT FOR THE RICH!" Ya gotta HEAR this, for sure! Have you tried to lose weight? Jenny Craig - Weight Watchers - Slim Fast - and every conceivable method? 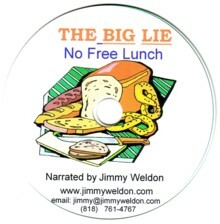 Get this CD ... You will laugh as pounds fall off. Whaddayagonnaeat? 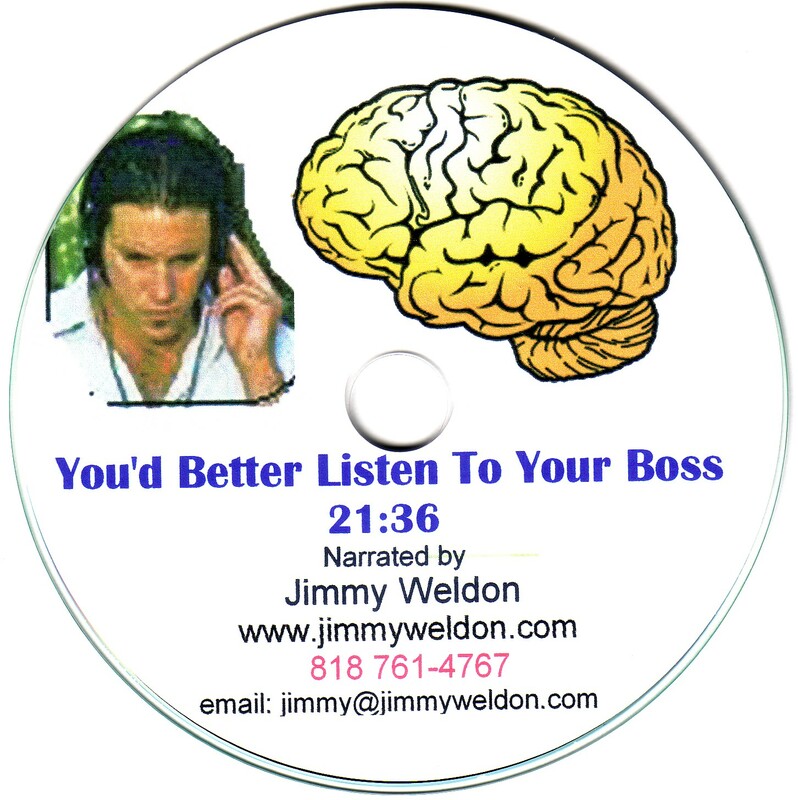 Don't worry --Your "BOSS" will tell ya. Trust me! The history of Radio. FDR, Edward R. Murrow, The Shadow, Inner Sanctum, Little Orphan Annie, The Lone Ranger, Jack Armstrong, Pepsi Cola commercial and others. These original sounds bring back the unbelievable childhood for anyone over 62 years of age. Many times our bodies tell a story far different than our mouths. You'll get a kick out of this one! THE PATRIOTIC MESSAGE of American history, explaining the Founding Fathers' development of the Constitution: our unique system of government that are so misunderstood by Third World Countries. 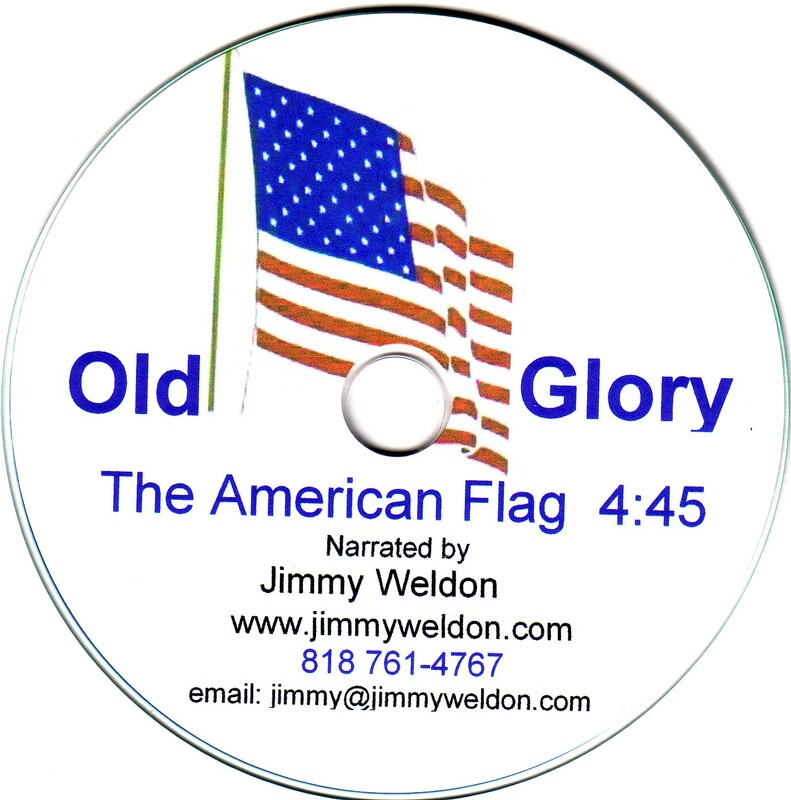 Jimmy presents this PATRIOTIC MESSAGE of American history as a live performance. The script is identical to the CD above explaining the Founding Fathers' development of the Constitution: our unique system of government that are so misunderstood by Third World Countries. This DVD is 38 minutes in length and is my basic motivation presentation filled with a whole lotta laughs and used in college as class material. I promise--this is one the whole family will enjoy. 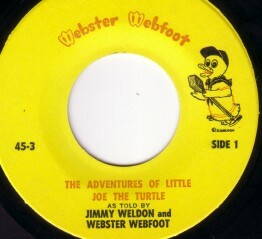 One of our "Little Joe" stories on TV in 1953.... He wanted to become a Jack Rabbit so he could run fast. Little Jed, the Wood Elf, helped him. Does that bring back some memories? 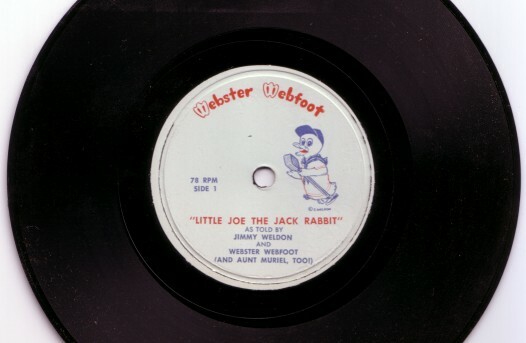 Another one of our "Little Joe" stories on TV in 1953.... He wanted to become an Easter Bunny. Wait until you learn what happened. 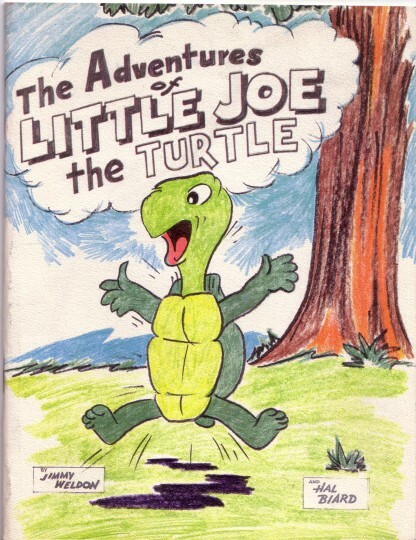 Remember now, these Little Joe items are NEW —yet, 50 years old! Let Yakky Doodle Talk To You! 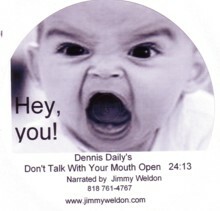 A personalized message from Yakky by his "voice," Jimmy Weldon — with an autographed color photograph. Tell us what to talk about. A birthday, Christmas or just nostalgia gift for yourself or some friend .